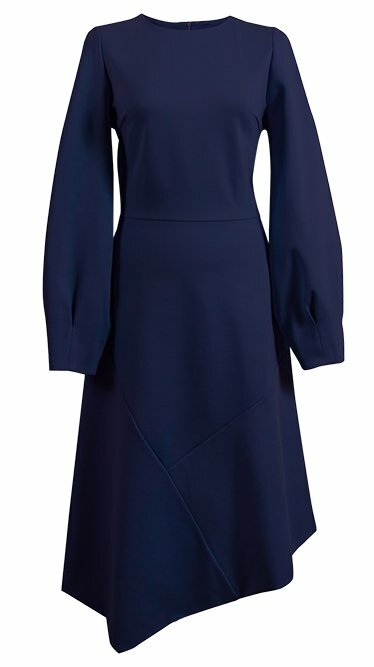 Custom made asymmetrical dress with balloon sleeves in midnight blue color. * Current production time 10-14 days. * 30 Days open purchase. This is a great working dress, also suitable for dinners and nights out. 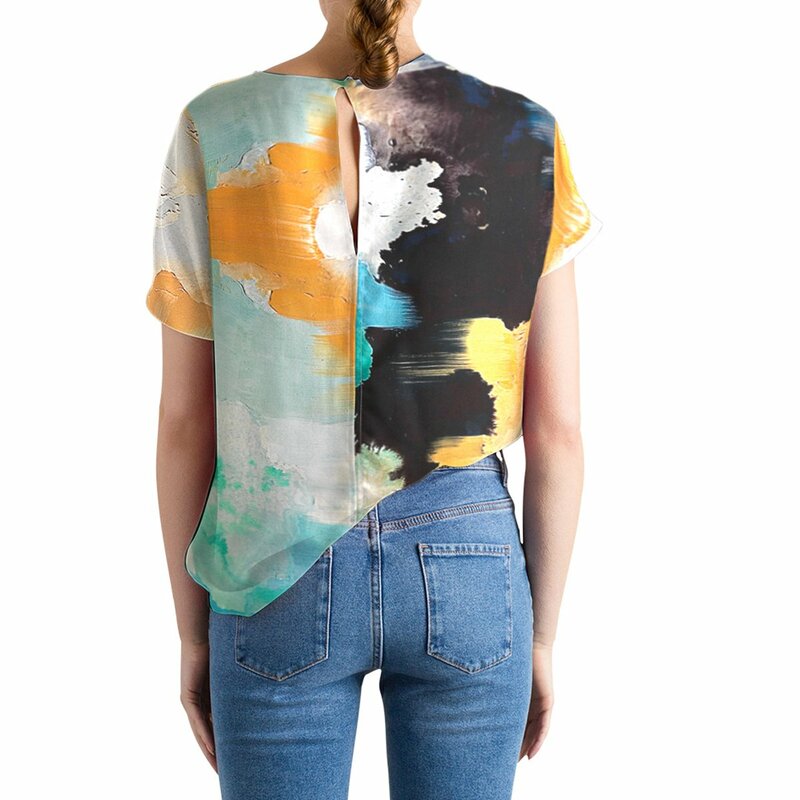 It has a classical, sophisticated, modern silhouette. Its asymmetrical hemline and seams add character.The balloon sleeves give a sculptural silhouette, while staying stylish and on trend. Made of a heavy weight stretchy fabric, which makes this dress very comfortable and allowing room for movement. The perfect “it dress” for the colder months. I bought a beautiful dress from Studio Heijne. Such a nice sustainable concept! And how nice to be so warmly welcomed by Wendy during the POP-UP store in Amsterdam. The basic design offers many possibilities for customizing, and together with Wendy, we put together a unique tailor-made dress. It was perfect! The quality of the design and fabric is excellent. I think it’s definitely worth using the Studio Heijne website! Min vackra designade och skräddarsydda klänning har just levereras, och allt är lika perfekt. Den vackra smakfulla förpackningen och personliga omtanke känns som en fin gåva. Kort sagt är jag väldigt nöjd. Tack så mycket. This is my go-to dress and it always works. I’ve worn it at parties, dinners, speaker engagements, conferences, days in the office and even at buffets with the kids. I love it as it is now, but figure that when fashion changes I might narrow the sleeves (as opposed to the current balloon sleeves) and change the asymmetric hemline to symmetric. That should make it last even longer. In terms of sizes, the dress is “standard” and all I changed was removing a cm or two to make the sleeves just a little neater. Fabric is great, comfortable and easy to take care of. In short, it really is a great dress. Midi length body con dress with 3/4 sleeves in flattering heavy viscose. Custom made body con sleeveless midi dress with flattering graphic cut in heavy viscose stretch. Custom made sleeveless body con midi dress in solid golden yellow.